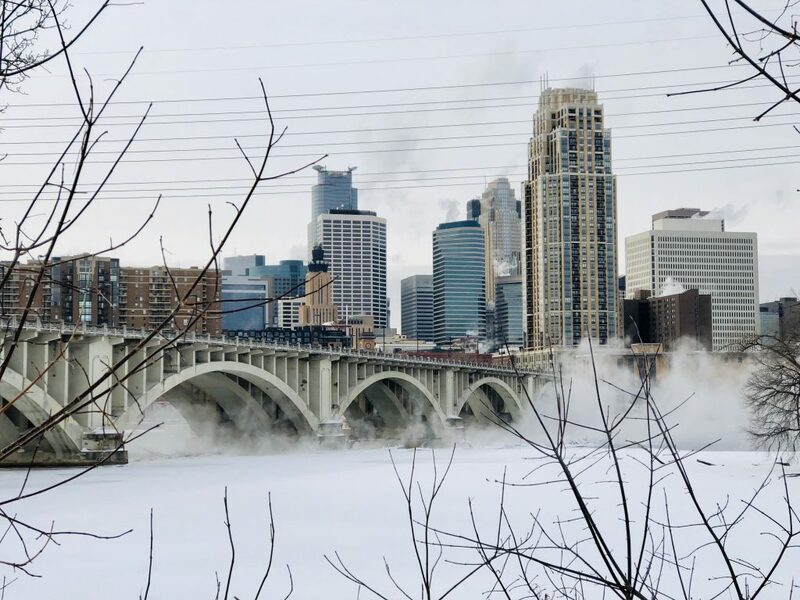 MADISON, Wis. (The Washington Post) – The second day of frightful cold across the Midwest bottoming out to record lows, was blamed for several deaths across the region, and fears grew for the most vulnerable populations. In some areas temperatures dropped to 50 degrees below zero. In Mount Carroll, Illinois, a trained weather observer reported that temperatures plunged to minus-38 degrees Thursday morning, according to the National Weather Service. If certified, it would be the state’s lowest temperature on record, supplanting a minus-36 degree day in Congerville on Jan. 5, 1999. 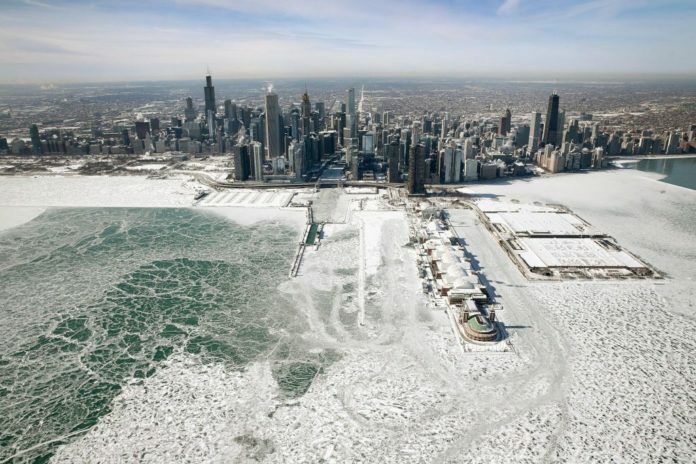 The frigid temperatures across the Midwest taxed the infrastructure that was keeping the coldest parts of America warm. 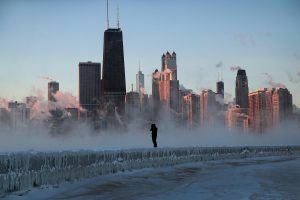 Electrical grids collapsed, airline gas lines froze, and authorities encouraged the largely home-bound population of the hardest-hit states to turn thermostats down to ease the burden on utility systems. Even that wasn’t always enough. Power outages roiled swaths of Wisconsin and Iowa, plunging thousands into a brief, unheated darkness. The dry, frigid air caused frostbite within minutes, led to spontaneous nosebleeds and turned even a brief foray outdoors into a potentially deadly activity. 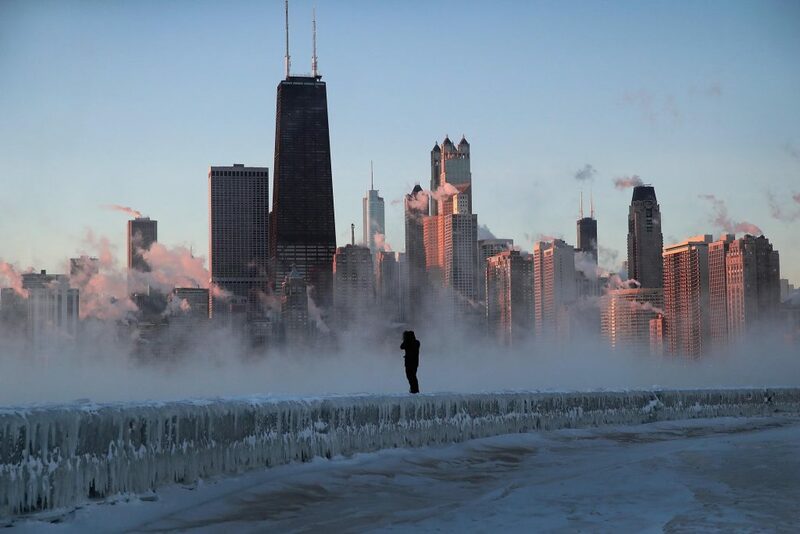 Officials across multiple states have linked at least six deaths to the weather, including several people who may have frozen to death in Milwaukee, Detroit and Rochester, Minnesota. Authorities said a reported death in Peoria, Ill., may have also been weather-related. University of Iowa officials said an “unresponsive” student had been discovered behind an academic hall and later died at the hospital. Authorities haven’t released a cause of death, but police told a local TV station they believe the extreme weather was a factor; the Iowa City Press-Citizen reported that the air temperature at the time the student was found was minus-22, with a wind chill of minus-51. Classes at the university were canceled from Tuesday evening through midday Thursday because of the weather. “We urge students, faculty, and staff to use good judgment and avoid serious risks during these extreme weather conditions,” the school said in a campus alert. 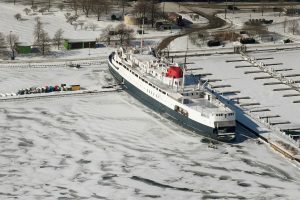 Governors in Wisconsin and Michigan declared states of emergency and ordered all state government offices closed; some state agencies in Illinois were closed, as well. 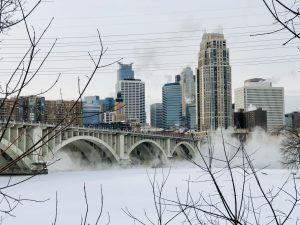 Cotton, Minnesota, had a record low of minus-56 on Thursday. 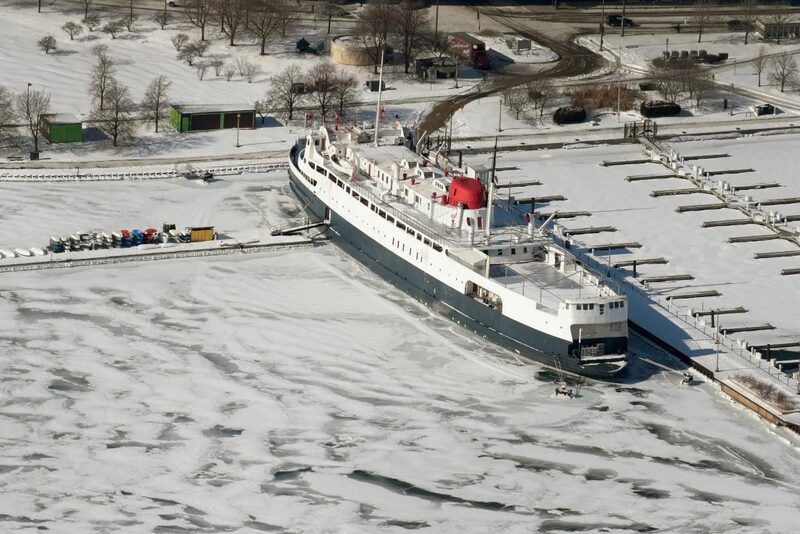 Thermometers in Moline, Illinois, dropped to minus-33, five degrees lower than the old record of minus-28, set in 1996. Rockford, Illinois, hit minus-30 degrees at 6:45 a.m. Central time, which broke the old record of minus-27 set on Jan. 20, 1982. By Thursday afternoon, the temperature in Chicago had warmed to a seemingly toasty zero degrees.